(Sturgis, South Dakota) – The Sturgis Buffalo Chip® and CMT® are bringing the annual motorcycle festival best known for its massive 9 day superstar concert lineup, week of jaw-dropping stunts, and off-the-wall competitions to television when CMT BIKE WEEK premieres the first of multiple specials August 18. 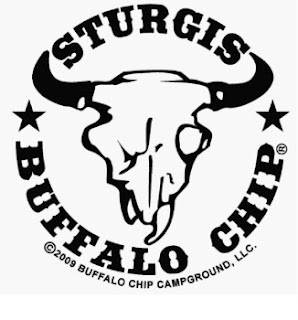 Filmed at the Sturgis Buffalo Chip’s two weeklong event in Sturgis, S.D., CMT BIKE WEEK will give viewers an in-depth and behind-the-scenes look into the music, culture and camaraderie that make up this popular festival. In each CMT BIKE WEEK special that features the Largest Music Festival in Motorcycling™, viewers will get to see the completely unique events and endless entertainment that the Sturgis Buffalo Chip has been providing bikers and music fans since 1981. Cary Glotzer, Joe Townley, Jordan Stone, Mark Farrell and Michael Yudin will executive produce for My Tupelo.